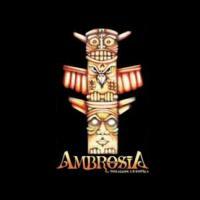 Ambrosia Cigars were the first Spiced Cigar Blend made by Drew Estate. The Ambrosia (Tobaccos Exxotica) Cigar features a Nicaraguan Binder, and a Nicaraguan/Honduran Filler for all of its cigars. These are actually considered to be Drew Estate's most aromatic cigars to date, and with a name Ambrosia (am•bro•sia noun - Something especially delicious to taste or smell), it seems that it is only fitting. So if you are a fan of any Drew Estate cigars or any Acid Cigars, go ahead and give these a shot.